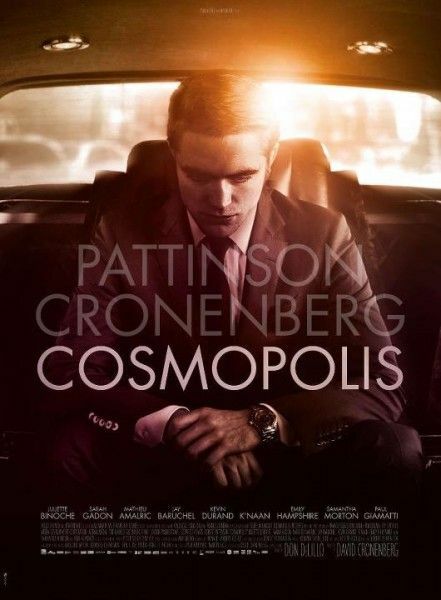 A NSFW international teaser trailer has gone online for David Cronenberg‘s Cosmopolis. The teaser provides the first look at the tone of the film, and more importantly, Robert Pattinson‘s performance in it. In Cosmopolis, Pattinson plays a newlywed billionaire who ends up losing his bride and his billions in a single day. Even when Pattinson isn’t doing Twilight, he’s hewed towards romantic dramas with Remember Me and Water for Elephants. However, as Twilight draws to a close, his upcoming films will perhaps provide him with the necessary escape velocity to get away from Edward Cullen. In Bel Ami, he plays a character who fucks his way up the social ladder of 1890s Paris, and in Cosmopolis, his character purposely shoots himself in the hand. I can take or leave Bel Ami, but Cosmopolis looks pretty great, and I’m eager to see Pattinson break free of his famous mopey vampire.